Barrel Emptying Pumps suction themselves automatically to the bottom of the barrel or container to achieve almost residue-free emptying in the chemical, pharmaceutical and foods industries. The heart of the Barrel Emptying System is a volumetrically conveying Progressing Cavity Pump. Barrel Emptying Pumps suction themselves automatically to the bottom of the barrel or container to achieve almost residue-free emptying in the chemical, pharmaceutical and foods industries. 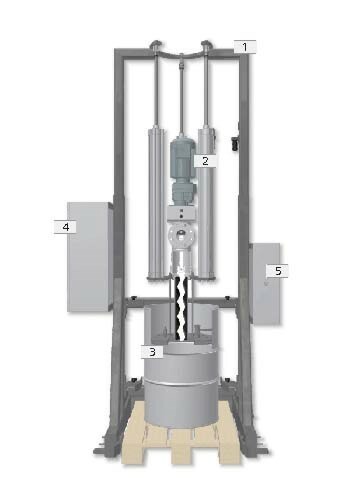 The heart of the Barrel Emptying System is a volumetrically conveying Progressing Cavity Pump. When the Pump is started, a vacuum is created under the follower plate. 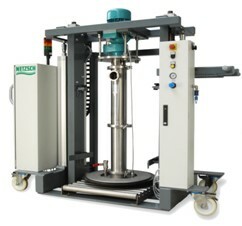 This then simultaneously puts slight pressure on the substance in order to guarantee constant suction in the pump.